Join us at an exclusive charity golf day at the prestigious Prestwick Golf Club. Are you a budding golfer who would jump at the chance to play the course that is famously known as the birthplace of the Open Championship? 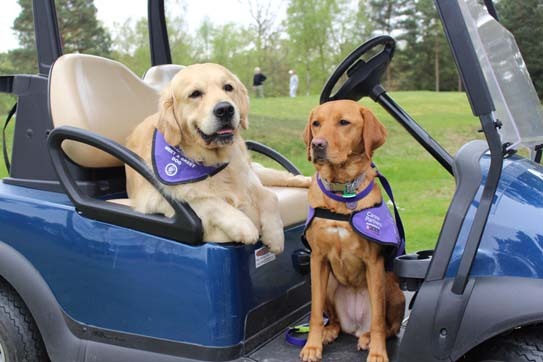 Then look no further than the Canine Partners Prestwick Golf Day 2019! This exclusive event is your chance to play on a stretch of golfing terrain unrivalled in the world – all while raising vital funds to help transform the lives of people with disabilities. For further information, costs and timings for this event please get in touch with Cat Howourth using the contact information below.